Liza Herb is a Program Manager for Enterprise and Community Development. 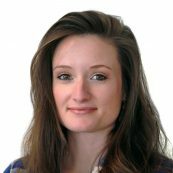 As a development practitioner and extractive industry social performance specialist, Liza has designed and led multi-sector assessments, management plans and programs to enhance positive social impacts in communities affected by mining, oil and gas projects in Sub-Saharan Africa, Eurasia and Colombia. She is passionate about working with extractive industry firms and public partners to improve local content, build stakeholder capacity and achieve sustainable and mutually beneficial solutions to non-technical risk. She holds a MPA in Development Practice from Columbia University and speaks Spanish.